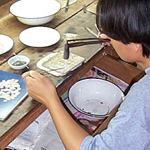 Thailand’s jewelry artisans craft this majestic cuff bracelet. 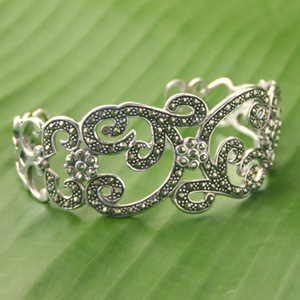 The master jewelers encrust shimmering marcasite on the sterling silver body. This bracelet may vary slightly in weight and size. Natural stone - slight variations are to be expected. 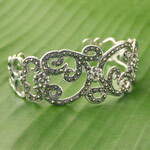 This cuff bracelet is made by jewelry artisans in a workshop located in Bangkok, Thailand.